By Dan Ambrose: Bernard Hopkins (52-5-2, 32 KO’s) thinks he’s going to be able to make adjustments to whatever challenger Chad Dawson (30-1, 17 KO’s) brings into the ring in their fight on October 15th at the Staples Center in Los Angeles, California. Hopkins thinks he’s got the knowledge and the experience to nullify anything that Dawson and his trainer Emanuel Steward can come up with to try and beat Hopkins and take his World Boxing Council (WBC) light heavyweight title. In looking at Hopkins’ last three fights against Jean Pascal, who he fought twice, and Roy Jones Jr, Hopkins’ punch rate has really dropped dramatically to the point where he’s throwing little more than 20 punches per round. It’s going to be hard for Hopkins to beat a fighter as skilled as Dawson throwing only 20 shots. If he’s getting out-landed 50 to 20 every round, it would take some really sympathetic judges to ignore the huge punch advantage that Dawson will have in this fight and score round after round for Hopkins. Sadly, I can see that happening. 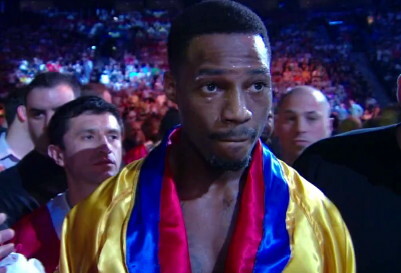 Hopkins gets out-punched by a 6-1 margin and yet still be given rounds. This is why it’s important for Dawson to increase his workrate to a much higher level than he showed in his last fight against Adrian Diaconu last May. If there’s anything that you can criticize Dawson about in his 12 round decision win over Diaconu it’s his workrate. Dawson threw one punch at a time for the most part and was content to land mostly jabs. He easily won the fight but Dawson needs to throw a lot more shots to make sure that he leaves no doubt. It’s a given that Dawson will outwork Hopkins, because the 46-year-old Hopkins mainly only moves around the ring for most of every round and rarely throwing a few shots as he dives in the grab. It’s really predictable. Hopkins is mostly just trying not to get hit and then come in and grab while in the process of landing a shot. Dawson has to spear Hopkins with jabs while he’s moving in constant circles to make him pay for his lack of activity. When you get an old fighter like Hopkins than can no longer throw a lot of punches the worst thing you can do is not press the fight. Dawson has got to keep a jab in Hopkins face constantly and blast him with combinations when Hopkins dashes forward to throw one of his rare shots in the process of grabbing.